Recently, I conducted some market research on the community involvement programs of large and small businesses. Prior to this research, I had never known that large and small businesses alike do their part to serve the community. 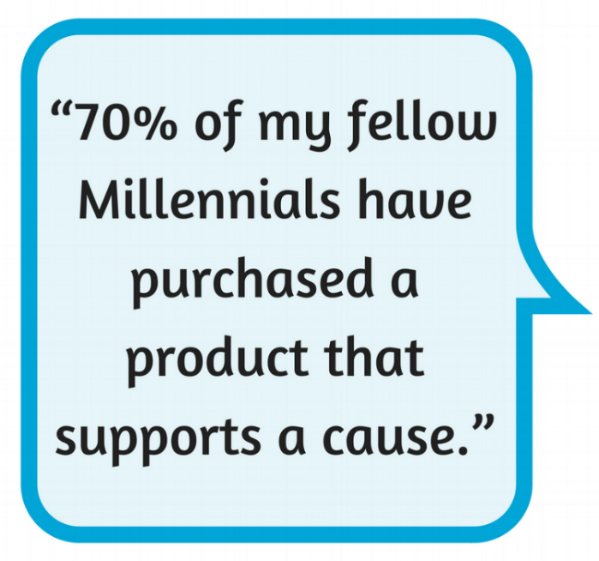 This is surprising considering that 70% of my fellow Millennials have purchased a product that supports a cause. Just log onto any company’s website and you'll find the “Community” tab that we often overlook. Speaking to marketing and community outreach representatives from these companies highlighted for me the different approaches companies take to serve their communities. Some view community involvement as their duty and part of their mission, while others participate to improve their image and business. (1) Could you please describe your community involvement program? (2) What are some challenges you have faced with your community involvement program? (3) What do you and your company hope to gain from the community involvement program? I spoke to businesses of all types—restaurants, theme parks, museums, etc.—via telephone and email. Their responses demonstrated that, when it comes to community involvement, large and small companies are more alike than different. Many community involvement programs revolved around product donations to nonprofits and having employees volunteer at fundraisers. Some, like The Cheesecake Factory, told me they gave on a first-come, first-serve basis while others, like Barona Casino, had strict guidelines as to which nonprofits would receive their donations. Regarding challenges they face, 50% of respondents stated that having enough resources (time or inventory) and dealing with demand was their biggest challenge. Still 33% stated that good communication with nonprofits is their biggest challenge because of the difficulty in making expectations clear and in having proper information submitted in a timely fashion. On the flip side, the goal companies said they most wanted (83%) was to serve the community that has been supportive of them. The gap between desire and ability and was clearly a source of pain. What this tells me is that companies need greater support in serving their community. The intentions are there, but there are clear challenges in executing those plans. Research uncovered online platforms such as DonationMatch, Versaic, DonationX, and AIRS (Bidding for Good) that can help with managing donation requests and ensuring that their donations are going to groups that champion causes they truly care about. As a potential customer, I feel that at the end of the day, businesses--small or large--should be answering this question: "How have I helped someone today?" 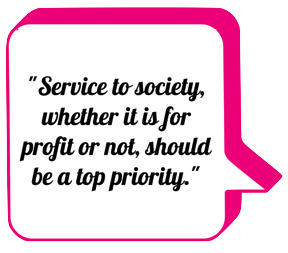 Service to society, whether it is for profit or not, should be a top priority for businesses because Millennials—our ultimate consumers—are deeply passionate about social and/or environmental causes and 79% of them are more likely to purchase from companies that support such causes. Even if it means spending a little money, companies should know that there are now easy solutions to mitigate the challenges they face and make their community activity more streamlined and known. To me and my generation, this is a worthwhile investment.